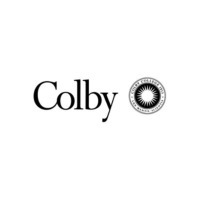 Review: Colby College is a private liberal arts college located on Mayflower Hill in Waterville, Maine. Founded in 1813, it is the 12th-oldest independent liberal arts college in the United States. Colby was the first all-male college in New England to accept female students, the first being Mary Caffrey Low, who was the valedictorian of the Class of 1875. Approximately 1,800 students from more than 60 countries are enrolled annually. The college offers 54 major fields of study and 30 minors. More than two thirds of Colby students participate in study-abroad programs. Colby emphasizes project-based learning , while volunteer programs and service learning take many students into the surrounding community. Colby College competes in the NESCAC conference and is one of the "Little Ivies". Location & access map for "Colby College"